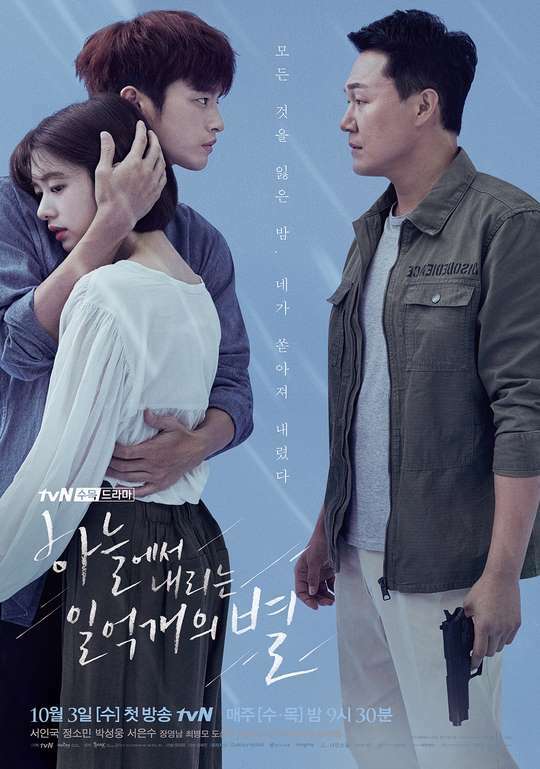 Here’s two main posters for upcoming tvN drama series “The Smile Has Left Your Eyes” starring Seo In-Guk, Jung So-Min and Park Sung-Woong. 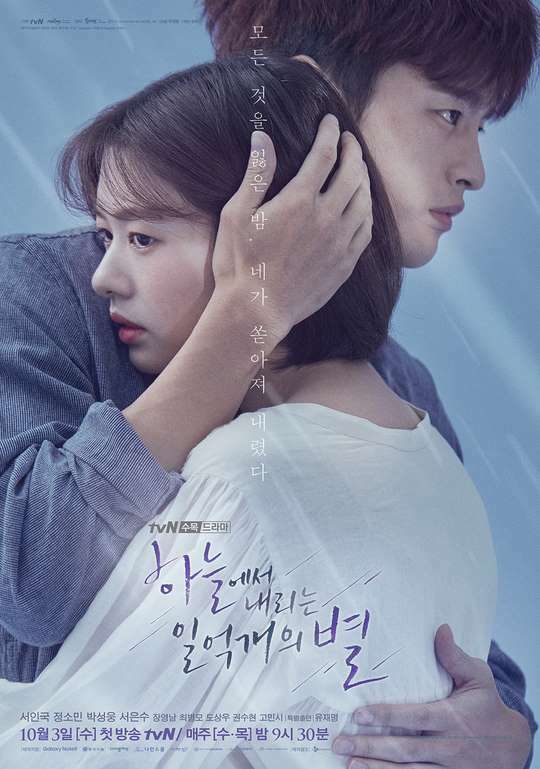 The Korean caption on the posters states “The night I lost everything, you poured down.” The wording refers to Yoo Jin-Kang (Jung So-Min) arriving in Kim Moo-Young’s (Seo In-Guk) life like a savior. Prior to her appearance, Yoo Jin-Kang did not have anyone around him. “The Smile Has Left Your Eyes” first airs October 3, 2018 in South Korea.